In brief: One day we'll try something other than the Italian combo at Lenny's, but probably not anytime soon. We've been going full steam on work for the upcoming TEDx event and when our even more harder working organizers were in the 'hood, we had a quick bite together. 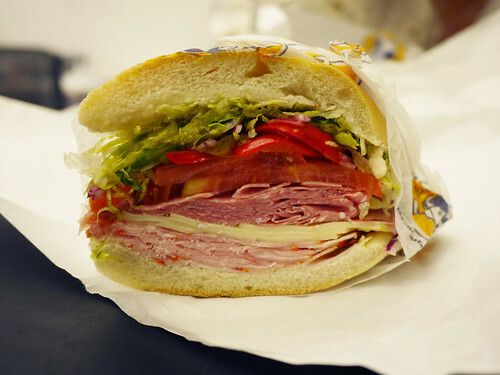 I'm not sure anyone will ever be able to persuade us to try another sandwich at Lenny's because the Italian combo is just too perfect. And speaking of awesome things, if you want to feel inspired, come to TEDxNewYork! We'll be there, soaking in ideas in the day long conference. You can apply directly on their website.